This six-week program for children (K-3rd Grade) and their parents is perfect for Lent or whenever you want to deepen children’s understanding of the Eucharist. It teaches the basics of who, what, when, where and why — and encourages children and parents to participate! 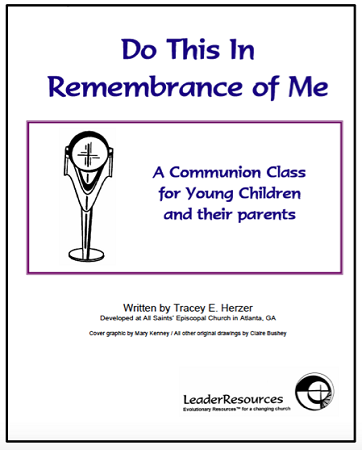 Includes a Communion Book you can print for each child as a study aid and remembrance. You may want to use the baptism program, Baptism: Marked as Christ's Own Forever, with this as a way to enhance understanding of the core sacraments of the church. This reproducible PDF file is a resource you will use again and again as you help the children in your congregation discover the wonder and beauty of Holy Communion in their lives.